Spending today in the shop trying to make progress on this overhaul. 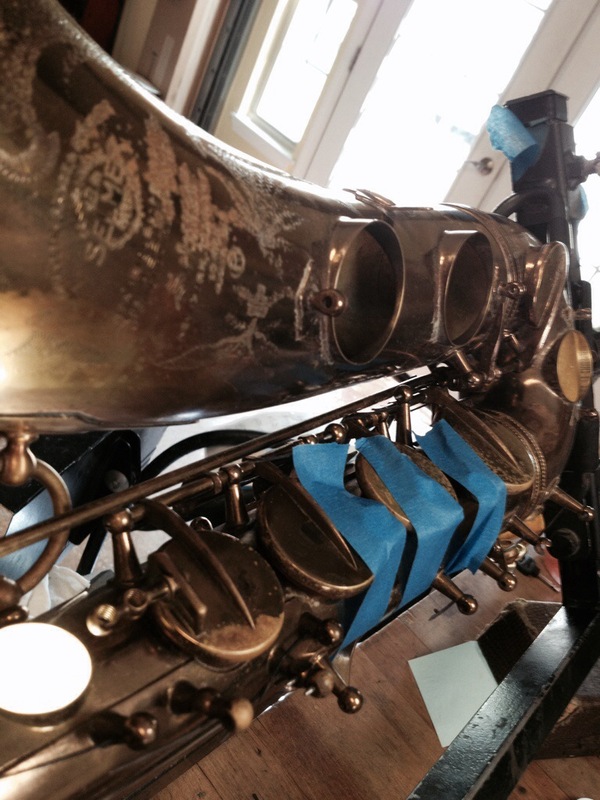 70K selmer vi, installing custom extreme pads from music medic, great pads to work with, and so far installation is been fairly simple. Really looking forward to playing this one at the end. ~ by inhorn on August 7, 2014.